When the spinal cord is injured, commands and sensations can’t travel between the limbs and the brain, so arms and legs are can’t respond to the will to move. Until recently, physicians have not been able to offer spinal cord injury patients much hope for regaining function. But if the brain’s intention could be communicated to muscles by detouring around the damaged spinal cord, movement might be restored. As you’ll hear in podcast #10, that’s just what Dr. Patrick Crago is doing with small, implantable electrodes to stimulate muscles to contract, thereby restoring some function to hands and arms. Working with what they call “neural prostheses,” Dr. Crago and his team are developing ways to make the stimulated muscles act in a coordinated way so that people with spinal cord injuries can grasp objects and, in the second generation neural prosthesis, reach for things overhead. About 200 patients have benefited from a first generation system that provided hand grasp function. Dr. Crago and his colleagues are now working on a system that provides function to the wrist and elbow; over 40 patients around the world are using this latest upper extremity neural prostheses. 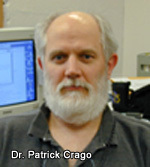 To learn more about the work of Dr. Crago and his colleagues, please see the Cleveland Functional Electrical Stimulation Center web site. To inquire about participating in a clinical trial, Dr. Crago suggests that you contact the center. Modern knee and hip replacement procedures rely on a number of advanced materials, as well as the effectiveness of the bond between the joint appliance and the patient’s bone that the artificial joint must bond with. In podcast #6, we’ll hear from Dr. Andrés García. Dr. Garcia’s research centers on cellular and tissue engineering and his research addresses areas which integrate engineering and biological principles to restore and enhance function to injured or diseased organs. 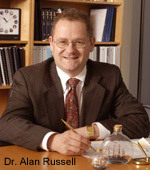 Specifically, his research focuses on fundamental structure-function relationships that govern cell-biomaterials interactions for bone and muscle applications. In another project, the Garcia lab is developing surfaces that are engineered to control the distribution and biological activity of extracellular matrix proteins in order to elicit specific and directed cellular responses. For instance, fibronectin adsorption onto different surfaces results in conformational changes which lead to differences in cell receptor binding and signaling and modulate switching between muscle cell proliferation and differentiation. This principle can then be applied to the development of synthetic and natural scaffolds for enhanced tissue reconstruction and regeneration. 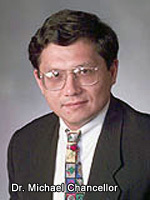 For more information, please visit Dr. Garcia’s web site. Leah Kauffman also visits with Tiffany Sellaro and learns about TERMIS-SYIS, a student group that aims to serve as a common platform to generate interest and promote interaction among undergraduate and graduate students, post-doctoral researchers and young investigators in industry and academia related to tissue engineering and regenerative medicine. 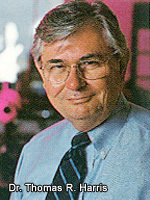 TERMIS-SYIS will closely follow the organizational and the working pattern of TERMIS and will be formally launched in April 2006 at the Regenerate World Congress in Pittsburgh (April 2006). A impaired heart can doom a person to a shortened life span of limited mobility, each movement a tremendous effort. More than 13 million Americans suffer from heart disease. Each year, 500,000 Americans are diagnosed with heart failure, the most severe form of heart disease. Heart disease can be treated with medications and surgery, but transplantation is the nearest to a cure traditional medicine can offer … for now. But it won’t be long before heart disease is treated with a minimally-invasive procedure with no serious side effects: an injection of stem cells from the patient’s own bone marrow or blood. Such treatments are already available overseas and are in clinical trials in the United States. 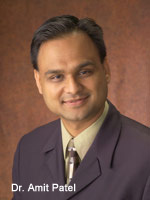 In podcast #5, we’ll hear from Dr. Amit Patel. He was one of the first physician-scientists to use adult stem cells to treat heart failure, and his group continues to research and refine their use. At the time of recording, Amit N. Patel, MD, MS, was the director of the Center for Cardiac Cell Therapy at the University of Pittsburgh Medical Center, and at the McGowan Institute for Regenerative Medicine. For more information about Dr. Patel’s current work, click here. Hosts Leah Kauffman and A.J. Malkiewicz. Interview by Leah Kauffman. Our heart pumps about 2,000 gallons of blood each day. Our heart valves ensure all that blood moves in the right direction. When a heart valve fails, the heart must work harder to keep organs properly nourished. If the heart works too hard, it can begin to weaken and fail. Malfunctioning heart valves can be replaced with animal or synthetic valves, but these have limited life spans. In podcast #4, Dr. Frederick Schoen describes how regenerative medicine researchers are laying the foundation for working heart valves made of natural materials that won’t wear out before we do, and that can even grow along with the young patients they might help. Dr. Schoen’s own work in developmental biology, examining how an embryo successfully “engineers” a heart valve as it grows, is an important part of this effort. 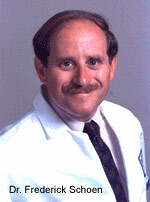 Frederick J. Schoen, MD, PhD, is a professor of pathology and health sciences and technology at Harvard Medical School and Brigham & Women’s Hospital. 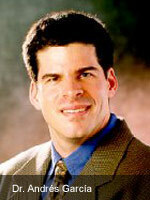 For more information about Dr. Schoen’s work, see his click here. 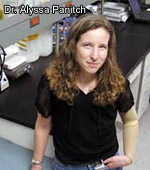 Regenerative Medicine Today welcomes Dr. Alyssa Panitch, who is an Assistant Professor in the Harrington Department of Bioengineering at Arizona State University. In this podcast she discusses her research into methods to improve regeneration of the central nervous system.